1. Tell us what You Want and we’ll Quote you. 3. Place Your First Order (min. 200 Units). 4. We Ship out Your Order! Why not? If you have a health related business, (or a starting one) you want every aspect of your business to represent who you uniquely are. With our low minimum order quantity, we make it possible for any size business to get their own superfood products out into the market! Contact us to outline your product concept. Click below to fill out a "New Product Development Form" or call or email to discuss. Upon receiving details of your product concept we'll work with you to come up with a prospective recipe. At this point we'll also discuss packaging / labeling options so that we can give you a quote on cost per unit to manufacture. Next we take a small deposit in order to generate multiple samples in order for you to compare. Once you've sampled and are are happy to move ahead, we generate the nutritional data to ensure that it meets your targets ahead of moving to full production. We give you all information required for your Graphic Designer to create your labels. This includes the 'Nutritional Panel' as well as details to ensure compliance with labeling standards. If you want us to project manage this part for you, we will engage a 3rd party Graphic Designer and then work between you and the designer to come up with the desired result. You have the choice of packaging in Pouches or in Tubs. 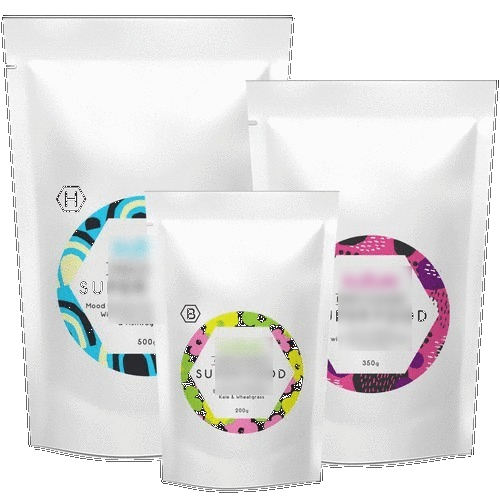 With pouches you have the choice of having sticker labels printed or printing directly on to the pouch. First order MOQ per individual product is 100 units. With first order total MOQ being 200 units. From Briefing through to your Superfoods arriving to your door, most projects take on average two months end to end. We've worked with businesses across the full spectrum of the Health industry, from Online Retailers, Health Food Stores, Cafe's / Restaurant's and Gym's. We've also worked with individual Health Care Practitioners, Personal Trainers and Coaches to create "functional food" formulations to offer their clients / customers. Our client here has developed 6 custom-made "functional food" blends including a "Super Smoothie blend", "Greens", "Digestion", "Cleanse", "Hormone Balancing" and "New Mother's Support" blend. Packaging in pouches, with sticker labels front and back. 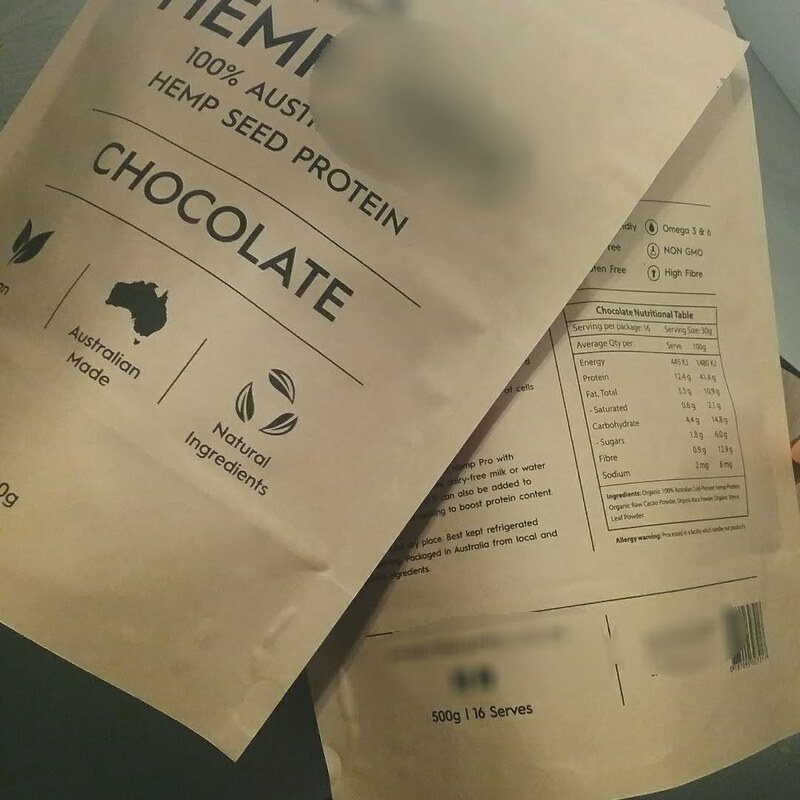 Our client retails their Australian Grown Hemp Protein products on their own website and social media. They also wholesale their products to various cafe's on the Eastern seaboard. 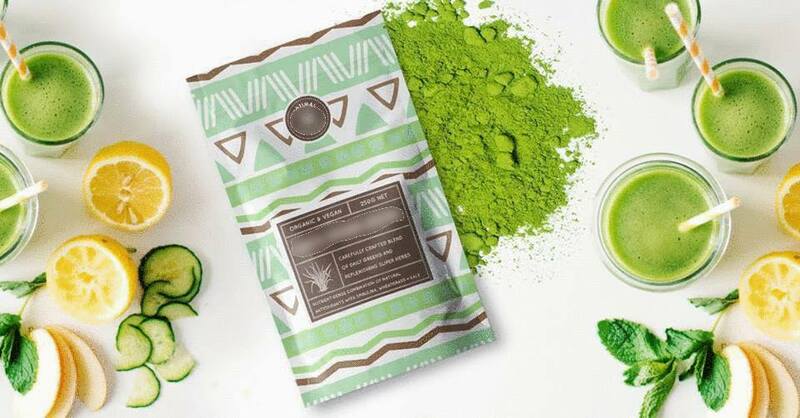 Packaging was source locally, employing "digital screen printing" on to the pouch. This particular pouch/printing partner of ours, offers this method of printing on to the pouch on low minimum print runs. Literally as little as 200 units per design. Our client is a well established national health food store chain who approached us to create their own suite of 'functional food' blends. Pictured right is their "Super Greens" formulation. Packaging features graphic design printed directly on to the pouch was sourced through a U.S based business we've partnered with. Our client is a well known Naturopath with her own Natural Skin Care and Beauty product business retailing both in-store and online nationally. 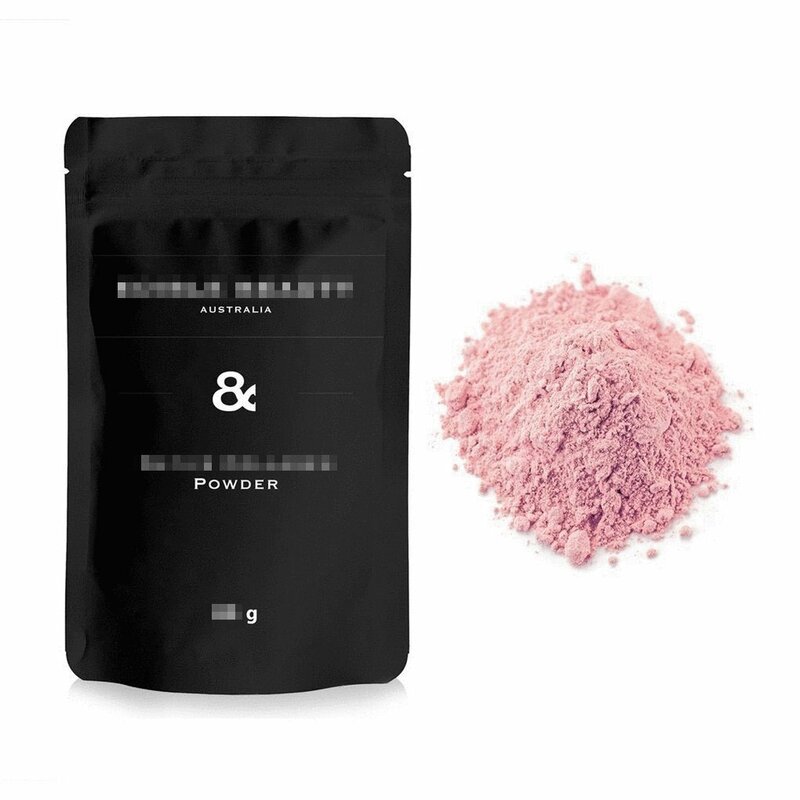 She came to us with her own recipe to promote collagen production which we packaged into matt black pouches with the label digitally screen printed on to the front and back.